If I were trying to find a real estate investor to buy my house, one of my first questions would be “Who exactly would I be dealing with & are they legitimate home buyers”? Well, let me introduce myself, my name is James Vasquez, I’m a full-time real estate investor here in San Antonio, TX. I’m also a licensed Broker in the State of Texas. 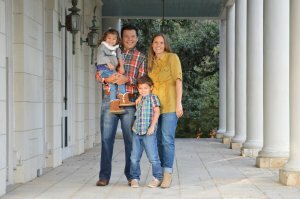 My family and I (see picture above), have been buying houses in San Antonio for over 7 years from home owners that need to cash out of their home for many different reasons. I will ALWAYS treat the people that we meet and their houses, with the upmost respect from start to finish. This is one of our most common questions…How long will it take for me to get my money? Simple. The title company will open escrow immediately after all parties have signed the contract. Typically we all sign the closing documents within 14 days from that point. If you’ll bring a copy of a voided check to closing, the escrow officer (Cathy Rolfe), will wire you your funds within 4 hours after we have all signed. We already know that you need to sell your home fast, that’s why we close on your time-frame without you having to lift a finger. Being professional San Antonio home investors for well over 8 years, we have seen it all, and we know how to jump over almost ANY hurdle to get the deal closed quickly and painlessly. The reason why we think it’s so important to work with an investor friendly title company is because many time investors have tighter closing time-frames to meet, that more traditional home buyers don’t need. 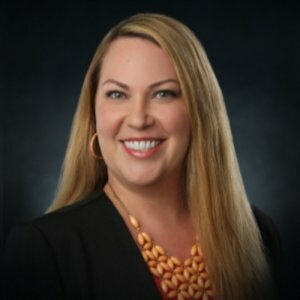 Our escrow Officer, Cathy Rolfe, does an excellent job ensuring that all of our deals close on-time if at all possible….she has closed deals for us in mere days if the situation warrants it. Important Tip: Feel free to call Cathy Rolfe if you have questions as to whether or not I close deals with her. You see, we’re professional San Antonio home buyers, so we strive daily, to provide “win-win” solutions to home owners just like you. Most sellers that we buy houses from just want to get the cash out of their home and walk away from a house that has burdened them for months or even years. So, one of the questions that we commonly ask is “When do you want to close”….we don’t tell you when WE want to close, we ask you when YOU want to close? Note: Because most people need a few weeks to move their belongings, we usually end up closing on the sale within a 2 week time-frame..but have closed as soon as 5 days in a few instances. Should you decide to accept our offer, please don’t clean up or repair anything on the house, because we’re going to buy your house “as-is”, meaning that we’re not going to ask you to change the condition of the house prior to closing (which always happens in traditional home sales). Let serious, home investors like us handle the sale of your home, quickly and painlessly.